Battlezone is one of those series that people can’t help but love. Whether you played the original arcade game from 1980 or modernized PC version in 1998, you still got a dose of adrenaline-pumping tank action. Because of both titles, many continue to love the brand to this day, which made the announcement of Battlezone coming back all the more exciting. Not only were Rebellion planning on reviving the classic series, they were also bringing a virtual reality version to life. It finally blasted onto shelves and PS Store alongside the launch of PSVR. 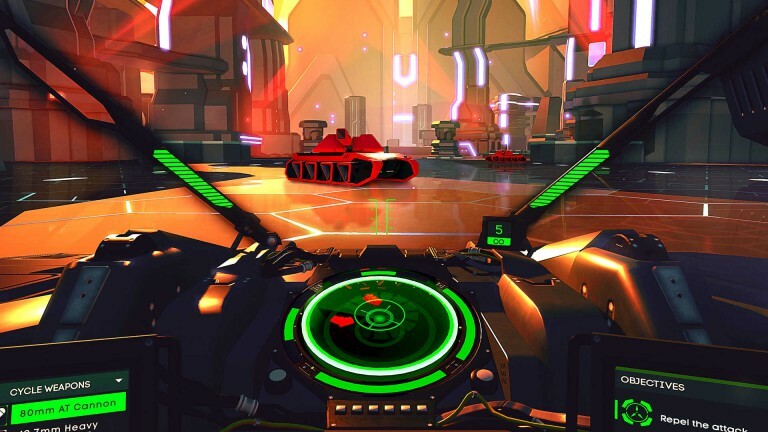 Now that it’s out, how are people enjoying this modern, VR take on Battlezone? In many ways, Battlezone still feels like the classics it was based off. Your tank is fast, powerful, and loaded with weaponry. Enemy tanks, towers, and landscapes in general also feature vector-inspired artwork though of course the graphics aren’t actually comprised of vectors. The visual design feels crisp and modern despite its retro inspirations, and bright coloration makes it easy to identify targets. Early stages in the single player mode are quite easy, as enemies seem perfectly content to simply mill about. Only on later levels do their towers grow increasingly dangerous and enemies work to actually kill you. The firefights at that point become intense, with bullets reigning down from the sky (as well as all other angles). Sound effects are crisp and the whole experience is amplified by simply sitting in a VR cockpit. The only downside is that, on some maps, you wipe out enemies much too easily, leading the landscape to feel creepily empty before finally picking off the last tank or tower. Single player mode is not the main focus of Battlezone. Even so, a fair bit of attention was given to make this mode worth playing through. It actually has a bit of FTL: Faster Than Light’s progression as an apparent inspiration. You must move from one side of a hex-based map to the end goal on the other side. Most hex tiles present players with a new mission, while some allow players to access tank upgrades and such. If you die on a mission then your progress on the map is erased. Starting over from the get go is expected of roguelikes, but I’m not sure that anyone expected this game would end up borrowing from that genre. In any case, after tinkering around with single player for a while it’s time to jump into multiplayer. Normally, now would be the time to jump in an online match to square off against worthy opponents instead of goofy AI. Sorry, there’s no competitive multiplayer to be found – but there is online co-op play. Other players better know how to handle their tanks than AI, and as such make far better teammates. However, Battlezone is not lighting up the multiplayer servers 24/7. Right now there aren’t even many online multiplayer titles available on PSVR. Competition between it, RIGS: Mechanized Combat League, and Sports Bar VR is just the start. As more multiplayer-focused releases launch we will likely see players of Battlezone continue to drop. It’s a sad state of things, but there simply aren’t enough PSVR owners right now to keep numbers high across all games. This is why it was so smart to include a single player mode in the game. As simple as it may be in the long run, it at least gives players a way to experience Battlezone without bugging friends to play with them online once the servers inevitably dry up. Enemies aren’t as intelligent, sure, but single player offers replayability and the same general experience of driving your future tank through an active battleground. Despite all the speed, it also manages to simply keep players grounded from feeling motion sick. Given the speed at which this tank trucks around, as well as needing to turn and aim quickly, it’s great to see very few players complaining of motion issues. 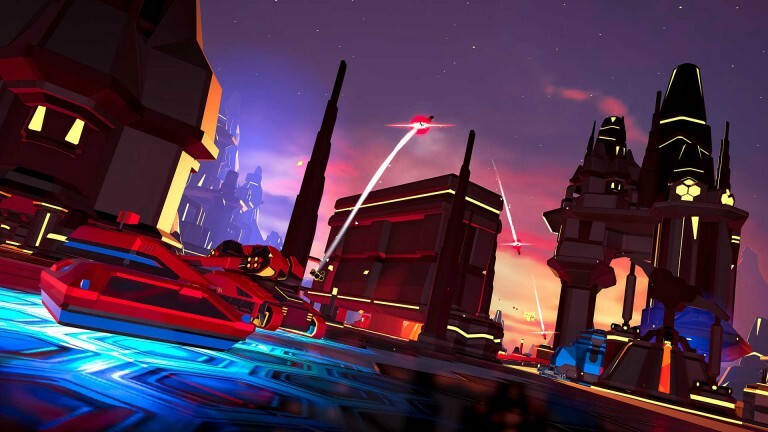 Fans of the original games will find that Battlezone on PSVR rekindles their passion despite some definite divergence. Not only does it look perfectly like a modern iteration of the classics, it also provides fast, frantic tank gameplay. The single player mode gives a great space for players to practice before taking a shot at helping others out online. Unfortunately, an already middling amount of server activity makes this mode’s future worrisome. 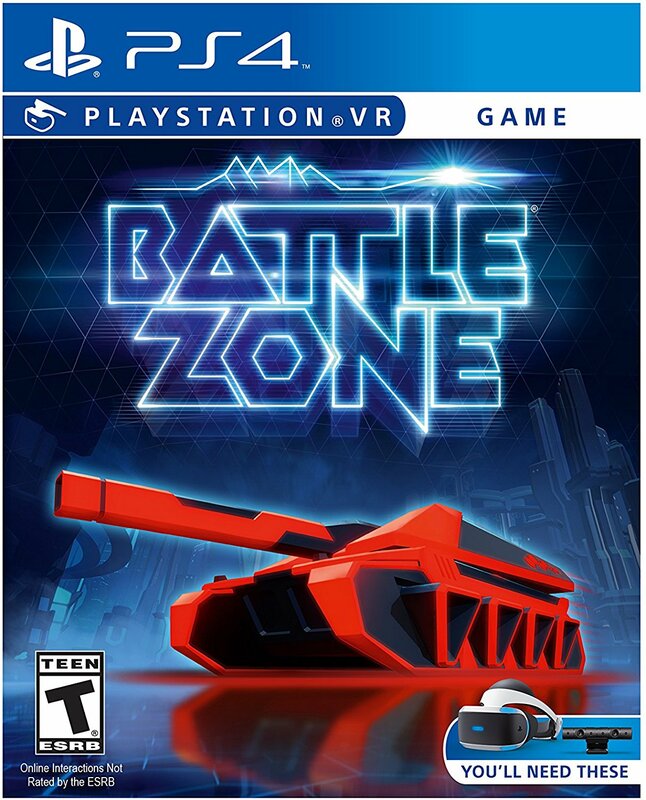 Still, there’s enjoyment to be had with Battlezone right now which might make it worth a pickup for some PSVR owners.